A decision to drop two resolutions, along with discussions about ASB elections and the incoming administration, were the main talking points from Friday’s Associated Student Body Student Senate meeting. 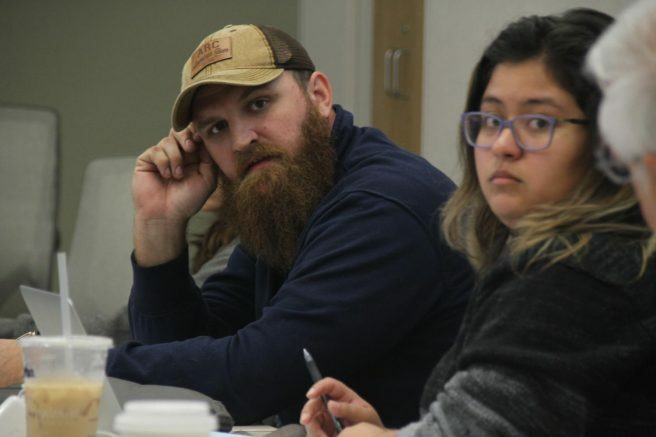 With three pending resolutions on the table for discussion and only three meetings left in the semester, ASB president Deborah Hernandez recommended the resolutions be dropped. Senator Mahmoud Abduljabbar argued that one of the resolutions, calling for additional student translators, should kept alive because it is close to being ready. When put to a vote, the board voted 3-2 to keep the resolution alive. Another resolution regarding AED Accessibility was also kept alive with a deadline for April 13. One bill involving service animal training on campus was dropped. Other business included discussion on a resolution in progress would give future senate and CAEB members two days of training with parliamentarians, who would go over the process of student senate and the Brown Act. Other district-wide benefits such as a free parking pass for ASB and CAEB officials, transcript notation, and priority registration were also proposed for future senate members. The final talking point came from a new district-wide regulation regarding consensual relationships between a district employee and someone who they may have influence over, whether they are employed now or in the future. A vote to recommend the removal of the expanded definition was defeated by a 3-2 vote. 1 Comment on "ASB drops resolutions and prepares for new term"
I recall a few semesters back, The Current posted an editorial wherein someone complained about low student voter turnout and participation in student government. This is evidence that the current structure of student life is incompatible with how ARC’s student government is structured. Perhaps a key resolution for next semester might be addressing this problem–improving accessibility and reducing resolution overhead.